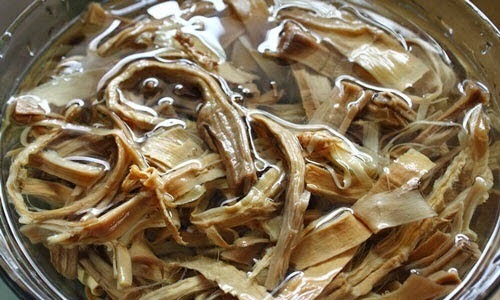 The step can cost much time for cooking Stewed Dried Bamboo Shoot with Pork Bone (Măng Khô Hầm Xương) is soaking and boiling dried bamboo shoot. 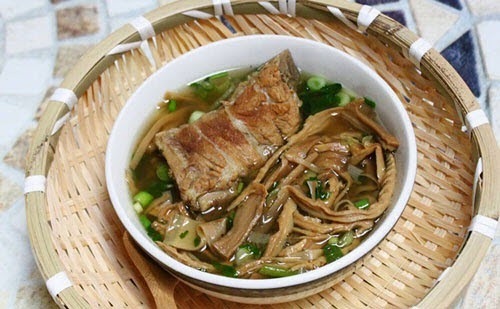 It originally comes from many stunning Vietnamese Food Recipes. However, you will create a stunning dish for your family and friends. It can become a main dish for your party or main dish in family meals. I usually eati this dish with hot boiled rice. How amazing it is, especially in cold days. So, are you ready to cook this dish for your party or family meals? If you want to cook one of amazing Vietnamese Food Recipes like this dish, please follow carefully our instruction below. Let us start cooking now. Step 1: Cut the old part of dried bamboo shoot, tear into long pieces. Soak into cold water about 1 day. 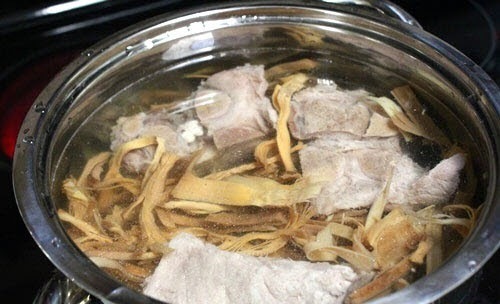 Sometime you should change water (At least 3 times) to make sure bamboo shoot will less sour and help broth more clear. Step 2: Then, boil water, add all bamboo shoot into pot and boil about 30 minutes. Next, pour out water and wait to dry. Step 3: Clean pork bone carefully with water added a little salt. Then, soak into hot water about 2 minutes to clean again. Next, bring to boil quickly for 5 minutes with hot water. Do not use the broth in this step. Step 4: Here is the important step to create the flavor for one of amazing Vietnamese Food Recipes. Add 2 teaspoons oil into pot, wait to hot, add more minced garlic + purple onion and fry until they are fragrant. Then, add bamboo shoot + 2 teaspoons fish sauce + 1 teaspoon salt + ½ teaspoon Maggi’s stuff + a little pepper into pot and fry about 5 minutes. 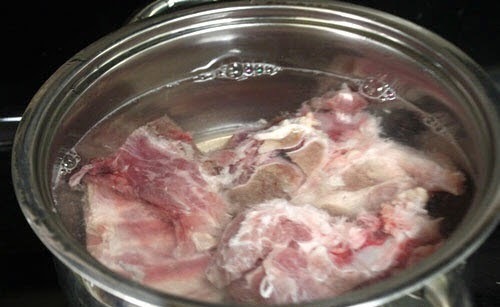 Step 5: Next, put pork bone into pot too. 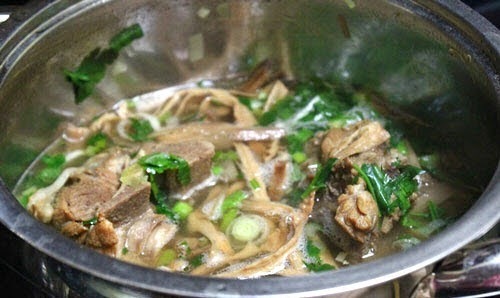 Pour water to cover the face of pork bone and bamboo shoot. Cook until it boils. Season again to suit your flavor. Sometime, use spoon to scoop away dirty bubble to make broth more clear. Turn off the heat. Finally, you just finished one of amazing Vietnamese Food Recipes from us. Add more sclied scallion and coriander on face. Serving with boiled rice is amazing, especially in cold days. If you love spicy, you can add more sliced chili when eating this dish. Hope you love it. You can cook it for your New Year Party. Happy Holidays and Good Luck for your Cooking.